The Similan Islands are commonly rated as one of the top 10 dive destinations in the world. The islands lie about 100 km Northwest of Phuket and were declared a National Marine Park in 1982. The Similans are comprised of 9 granite islands which run roughly North to South and numerous small rock outcroppings, with white beaches and tropical jungle above the water and spectacular dive sites in warm, clear waters below the surface. The diving season for the Similan Islands is from late October through to early May. 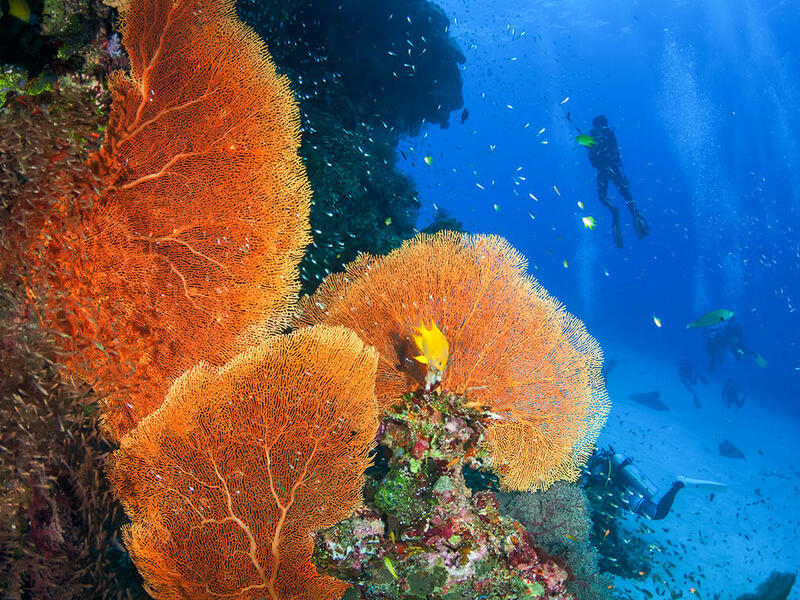 The diving varies from gently sloping coral reefs to deep rocky gorges and dizzying landscapes. In general, the East coast dive sites are hard coral reef dives, with some soft corals and a huge variety and abundance of marine life. The diving is fairly relaxed, with weak/moderate currents and 20 – 30m visibility the norm. 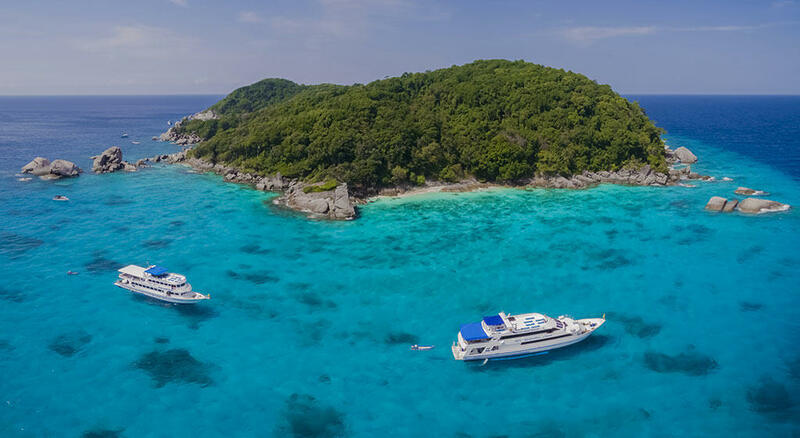 The West coast sites of the Similan Islands are slightly more challenging due to their depths and variable currents. Here you find the most incredible submarine rock formations, with huge granite boulders, swimthroughs and giant fan corals. This unique mixture of diving makes a Similan diving cruise a beautiful and fascinating voyage of discovery that always ends too soon. All this has made Similan island dive sites like “Elephant Head”, “East of Eden” and “Christmas Point” justly famous. A world of giant underwater boulders, caves, narrow passages, some 500 species of hard and soft corals and an amazing variety of marine life including leopard sharks, guitar rays, whale sharks, manta rays and turtles is waiting to be explored. Photographers take note that the Similan Islands are also a paradise for muck / macro diving – look out for such photogenic little critters as ghost pipefish, sea moths, frogfish, ribbon eels and many different nudibranchs. 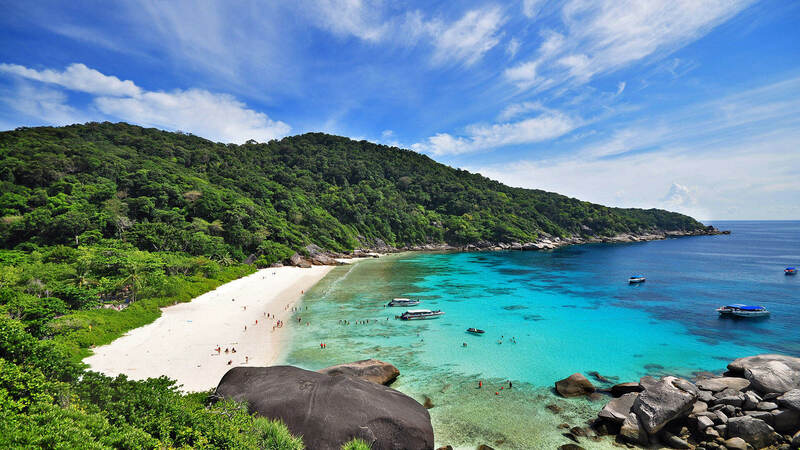 Whatever your pleasure, the Similans will satisfy your desires and give you the trip of a lifetime. 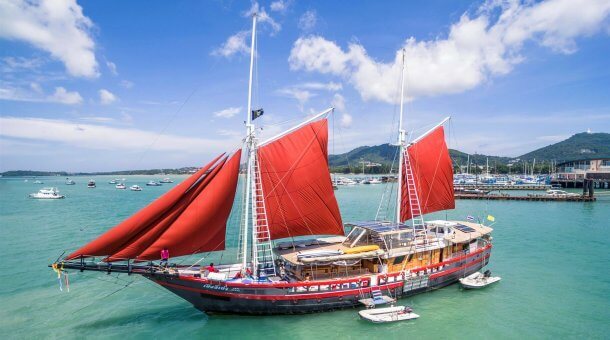 Liveaboards leaving from Phuket or Khao Lak are typically 4 day tours, and visit both the Similan (often called “Similian”) and Surin Islands including Koh Bon, Koh Tachai and Richelieu Rock. 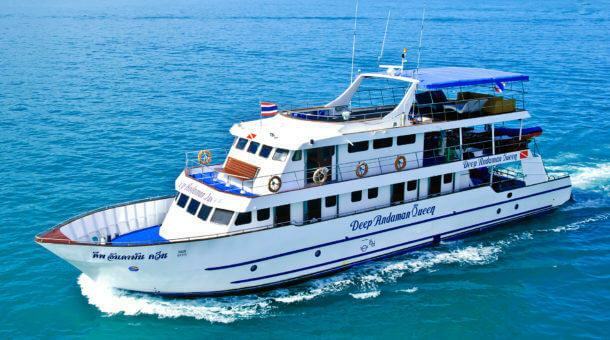 Some shorter tours and overnight trips visit the Similan Islands only. 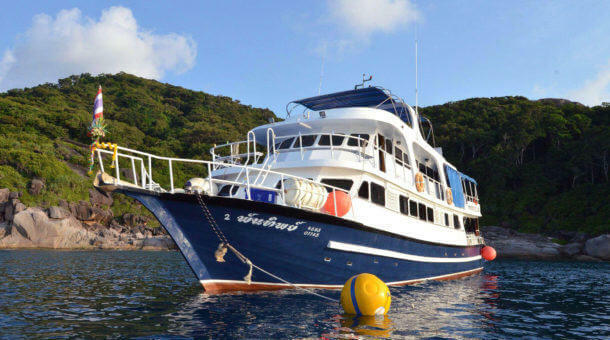 Day trips for diving to the Similans are possible every day in the high season, though it is a very long day and we really recommend you do a liveaboard or at least an overnight trip. 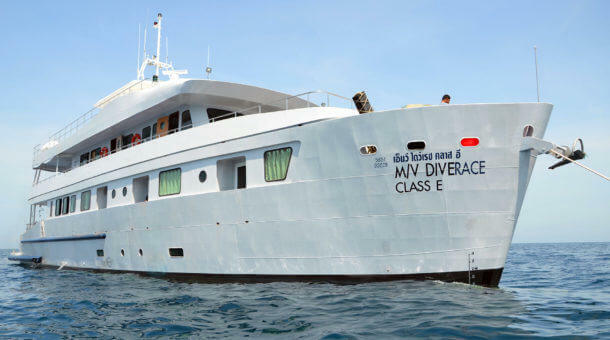 Use the links below to explore the wide variety of options for diving in the Similan Islands. The Similan Islands are open for diving from 15th October to 15th May. If you have any questions about trips or about the islands, please contact Sunrise Divers. We are always here to help!